I love that you bring back books from 1991. I think that being able to sense the given state of the individual student allows us to use “the point of need” more effectively. 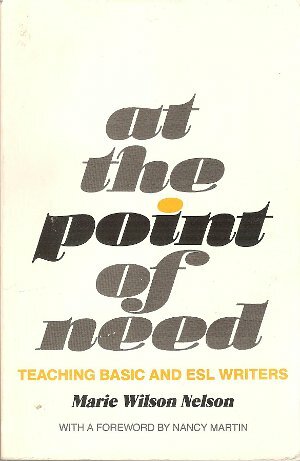 The “point of need” is perhaps related to “just in time” inventory, a theory in manufacturing that started becoming important in the early 90’s, which in turn may been related to computer’s JIT (just in time) compilation which was first recorded in J. McCarthy’s work on LISP in 1960, and which is incredibly important today in real-time work… like voice recognition. Good ideas keep coming back… if only we can stop some of the worse ones from reoccurring. Just-in-Time Teaching (JiTT for short) is a teaching and learning strategy based on the interaction between web-based study assignments and an active learner classroom. Students respond electronically to carefully constructed web-based assignments which are due shortly before class, and the instructor reads the student submissions “just-in-time” to adjust the classroom lesson to suit the students’ needs. Thus, the heart of JiTT is the “feedback loop” formed by the students’ outside-of-class preparation that fundamentally affects what happens during the subsequent in-class time together. 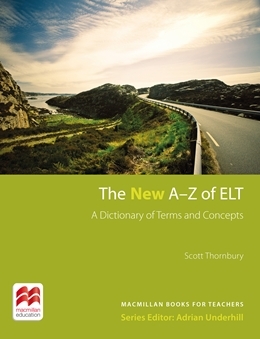 Is anyone familiar with this concept, in relation to ELT, for example? Great find re: JITT… Think that “point of need” is more JIT than JITT to my liking. The great thing about “just in time” is that it delivers what is needed by the user, which may be the teacher or the student. (in programming terms this would be the computer program or the human user.) Just in Time teaching appears more content based than student centered, and while it might be useful in some contexts, or to provide common starting points for emerging language, it doesn’t feel as open and student centered as the “point of need” description. Nice to note on the link you provided that it is based on a paper written in 1993. That sounds like a wonderfully inspiring read! I particularly like the emphasis on learners having the opportunity to find their own voices as writers, either in their own or a foreign language. Taking ownership of the language has to be one of the key elements for learners to experience. Once they have that sense of the language as a tool or a medium of self-expression, there’s a greater freedom to take risks along with a welcome boost to motivation. 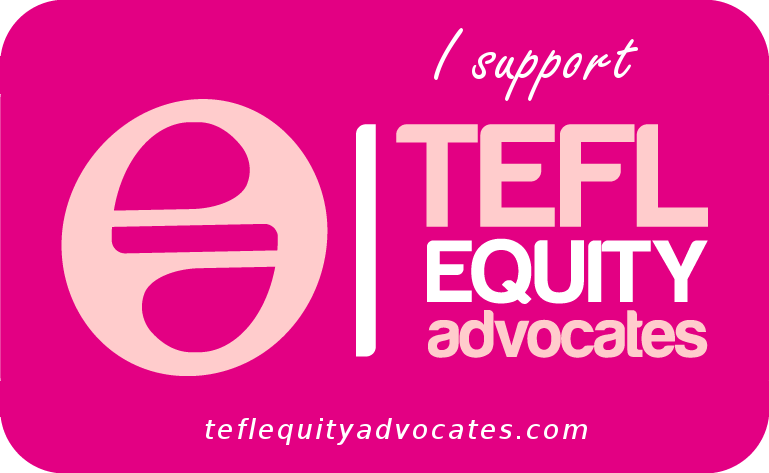 I used to teach short out-service courses at several different colleges during their vacations, which gave me the chance to dip into a variety of teaching situations in terms of the ability levels and the students’ majors. What struck me was that the non-English majors were often happy to pick up language and just use it, while the English majors were more inclined to analyse, but often to the detriment of their communicative skills. It seemed that somewhere along the way, the language had become a mere object of study, something to be analysed and picked at. Using fluency journals in class is something that I’ve found enormously helpful for building students’ confidence at self-expression. By having learners first focus on the message and then later attend to revision, I’ve noticed that not only do they gradually write lengthier entries, but that the writing itself usually becomes more detailed and expressive, and there are usually improvements in accuracy, too. Another benefit of such journals is that they offer a chance to ‘rebel’ against the pre-determined sequence of grammar points in the syllabus and offer more point-of-need advice. I’m curious about the initial resistance you mentioned. Was it just due to the lack of grading? Before I went to WTC I stopped and stopped when I wrote — it just wouldn’t come to my mind. I didn’t notice when I had changed, but later I realised after I write something: “Oh, geez! I can write!” After practising, it just comes out, so I wrote it down and I read it loudly — I find I picked up some wrong stuffs that way. As for the initial resistance, many students came with negative attitudes simply because they’d been told they had to improve their writing and attend the workshops. Furthermore, unfamiliarity with the approach seems to have contributed to some initial negativity: “Clinging to familiar formats and rules, censoring and monitoring heavily, these students expected tutors to mark all their mistakes and tell them exactly which corrections to make… They complained when tutors suggested they find topics that interested them or replied that the number of words they needed to write would depend on what they were writing and who they were writing to. They blanched when tutors suggested they ask groupmates’ advice about what revising and editing their work needed… Afraid to take risks and unwilling to take responsibility, dependent students cowered in the shadow of evaluation. Writing for other than a grade, it seems, was an unfamiliar and unwelcome idea.” (p.49-50). Attitude change seems to have been strongly linked to group-bonding, and a sense of interdependence, rather than dependence on the teacher. Great post and I appreciated the back in time reference too. Re JIT, I’m sure Matt’s right that the term originated with just-in-time inventory control. If I remember rightly, the meme got picked up in company training around the mid nineties. A JIT approach is commonly employed for procedural tasks today, particularly with computers. You’re working on your company’s SAP or Oracle system and you can’t work out what to do next, so you click the help button and a pop up appears and walks you through it. It makes a lot of sense. You’re motivated, focused, and you’ll learn exactly as much as you need to know to get the job done – no extra time or effort wasted on extraneous stuff. And truth is employees don’t have much choice because companies have found it’s cheaper to buy software that’ll do that rather than send them on courses where they might learn a lot of stuff they might not need or will later forget. Others may feel I’m off target but I think that in business English we often see a JIT approach to training. For example, someone has to give a presentation on Wednesday, so they use their class on Tuesday to run through it. A concern I have about it is some things can take a while to grasp and if you’re working ad hoc, the deadlines can get hairy. The most extreme example of JIT I heard was a French engineer who was being sent to Russia to work on decommissioning a nuclear power plant. Two weeks before he left, his company sent him on an English course. He was a beginner. Eeek! Yes, Vicki, I’d be in two minds about — for example — an air traffic controller who was working on the just-in-time principle! On the other hand, my own computer skills have mostly evolved on a JIT basis — that is to say, the only learning that seems durable is that which was done “at the point of need” and was followed up by frequent iterations of the task in hand. Detailed instruction, however well-meant, in advance of the need to apply the targeted skills tends to fall on deaf ears — at least in my case. The analogy with language learning seems fairly transparent. Scott- your library must be a veritable treasure trove. How about some photos of those bookshelves? Or a bit of information on what inspired this week’s post? As well as finding your writing fascinating, I would be fascinated to get some insight into your writing process. Many of the book titles you mention, I go on to look for and read and I am only infrequently baffled. Once you get bored of playing with the alphabet, perhaps another great format for your blog would be to go through the book titles on your bookshelves and write a blog post per book. So, PoN teaching – also fascinating and of obvious interest to the dogme school. What I find myself wondering is whether or not it can be transferred to other skills such as listening (particularly in an EAP context). Of course, PoN learning involves no more than training students in strategies for requesting and checking clarification. Well, it probably also involves training them in signalling the need for clarification as well. But how’s this best done in a lecture scenario when interruptions might be discouraged? I wonder after reading this post whether or not I might try to play today’s video (of Jamie Oliver’s acceptance speech from TED.com) with the instructions that they are to ask me to pause it in moments of incomprehension. In the past, whenever I’ve tried this, students tend to go through a whole listening text without once asking me to pause. You’ve got just under an hour to deliver your views on this in order to ensure that I get them within my point of need. Failing that, I’ll let you know how it went. (Another area of interest would be a realistic look at how we can win validity for these new age tree-hugging approaches). On my library: it expands (despite the occasional predations by a certain unnamed party), thanks to Amazon’s second-hand bookseller affiliates – I was able to get a pristine copy of that Nelson book shipped from the US in just days, no sooner had whoever it was mentioned it. Next week’s blog post is about another such golden-oldie – watch this space! I’m glad you saw the dogme connection with “point of need” teaching – I didn’t want to rub it in, but it seems that Nelson’s ‘project’ fits comfortably into the pre-dogme canon (a kind of dogme Old Testament?). The question is (and you ask it): can “point of need” teaching be generalised beyond writing? I argue that it can: the “instructional detours” that Cazden refers to apply to reading. But they could equally apply to listening, although the real-time nature of listening poses some management challenges. (I’m sorry I didn’t get back in time to answer your query – but I hope you experimented and that you will report on it. 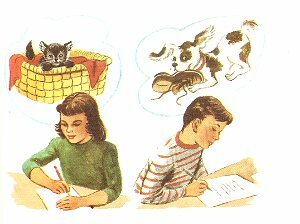 I would have recommended playing the whole text through and THEN – during the replay – inviting stop-start checking of comprehension problems – perhaps by giving one of the students command of the controls). And of course, the reference to focus-on-form was to suggest that the PoN principle applies equally well to speaking. Which just about covers everything! Let’s look at the bloody great big mess that the Japanese economy is in if we want warnings about over-application of a JIT principle. Anyway, that’s an aside that I should drop now. As with other commenters, I’m glad you’ve resurrected a somewhat forgotten classic. I myself am currently rereading William E. Rutherford’s ‘Second Language Grammar: Learning and Teaching.’ Lamentably, not enough enlightenment has been gained from this near 25 year old masterpiece. Is that a-nother aside? Mmmm… let me get to what I actually wanted to say, which is that a lot of what gets taught in many places is, in contrast to point of need, actually needless points. This leads to language being taught that learners simply cannot – or in many cases need not – apply to the bigger picture. I was at an EAP conference in the summer in which a keynote speaker shocked the audience by announcing that not all written work in university courses followed the 4/5 paragraph essay format. No one actually fainted, but there were several audible gasps of incredulity from an audience who had had this format drilled into them to the point that no other form of writing seemed possible. Not only does this ignore point of need, it brings about the teaching of a needless point. This format doesn’t lend itself to practical use nor are the skills developed in mastering this format transferable to other forms of writing. Sorry to end abruptly, but my 3 year old son is calling me. “A lot of what gets taught in many places is, in contrast to point of need, actually needless points” – hmm, and I thought I was master of the bon mot! I’ll quit now, while I’m ahead. Fascinating blog post Scott. The ‘point in need’ supports current learning theory; learner autonomy, a pre-Dogme approach and learner self-correcting their (and other) written work. Perhaps the book and case study was ahead of it’s time. It is interesting to note that motivation was initially low, but once recognition of the students work was provided their motivation improved. Perhaps we need to focus on a ‘less is more’ approach as well as providing learners a ‘pat on a back’ for their effort. I suppose writing has developed whereby students are able to publish their work electronically via the use of blogs. Yes, good point Martin. In the original program, as described by Nelson in her book, the students’ work was actually typed up and mechanically duplicated (we’re talking mid-eighties). Nowadays the possibilities of publication – and design – are of course easier, quicker, cheaper, and reach a potentially much larger audience. This is one, brilliant, way that technology supports learning. Just a footnote to the notion of ‘just in time’ teaching: in his fascinating book, What Video Games Have To Teach Us About Learning and Literacy (Palgrave Macmillan, 2007) James Paul Gee identifies what he calls the Explicit Information On-Demand and Just-in-Time Principle, which goes: “The learner is given explicit information both on demand and just in time, when the learner needs it or just at the point where the information can best be understood and used in practice” (p.142). This is a principle both of good video games and of good teaching. He makes the point that “learners cannot do much with lots of overt information that a teacher has explicitly told them outside the context of immersion in actual practice. At the same time, learners cannot learn without some overt information; they cannot discover everything for themselves” (p.120). He gives the example of good classroom science instruction, where “an instructor does not lecture for an extended period and then tell the learners to go off and apply what they have learned in a group science activity… Rather, as group members are discovering things through their own activity, the good science instructor comes up, assesses the progress they are making and the fruitfulness of the paths down which they are proceeding in their enquiry, and then gives overt information that is, at that point, usable.” (ibid.). In short, teaching at the point of need.